If you're like most people, your twenties have been messy as hell. After working one too many jobs you couldn't care less about, maybe you've wondered if there's something bigger out there for you - some larger purpose. This isn't it? 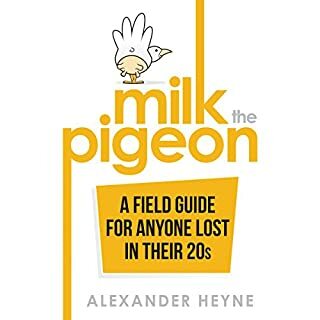 Milk the Pigeon is about the three existential questions we often struggle with when we feel lost in life: What should I do with my life? How do I find work I love? How do I create an awesome, meaningful life? I really enjoyed this book even though I’m in my late 20’s this book gives beneficial advice for anyone not just individuals in their 20’s. This book gives you relatable advice with real life examples and personal experiences from the author. I’ve purchased all his books and I never get tired of them. I can re-listen to them and always feel with a sense accomplishment and insight. He also had a YouTube channel and gives advice there as well. 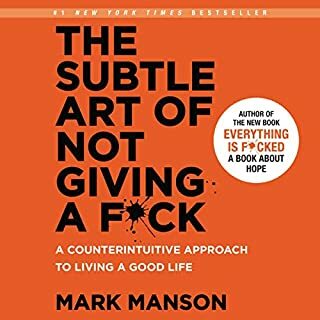 I recommend this book to anyone! There is an epidemic of fatigue running rampant in our society. 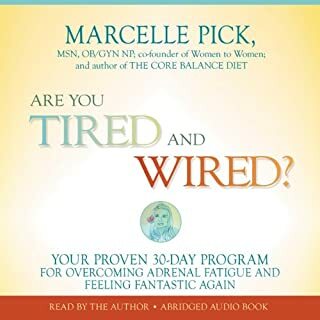 Every morning, hundreds of thousands of women wake up to find themselves exhausted, overwhelmed, and overstressed. Groggily turning off the alarm, they reach for coffee, soda, or some other promise of energy. They suffer through the day—irritable, on edge, forgetful, depressed, and craving sweets. And then, at night, they have trouble sleeping. Diet and exercise don’t seem to change things—if they even have the energy to follow these programs. So what on earth is going on? I really liked this book it provides insight from a medical practitioner perspective in detail most often what a doctor won't tell you. Moreover, this book gives advice on how to heal not only physical wellbeing but emotional. She also gives advice using real life examples that anyone can relate to. I am very pleased with the information provided and will be implementing it in my life.